Mohmed Bangoura was born into a Griot family in Guinea, West Africa. Griots are the traditional oral historians of Africa. It is their hereditary responsibility to tell and re-tell the stories of their ancestors through music, song and dance. 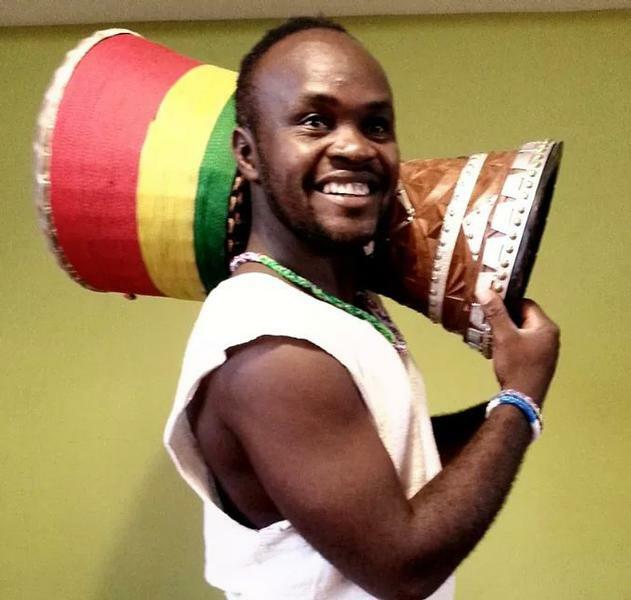 Mohamed started to play at the age of 5 for traditional ceremonies, and became a member and featured soloist of the internationally-acclaimed “Percussion de Guineé” and other National Ballet ensembles based in Conakry. He is described in Guinea as the man with “Hands of Fire”, “the Lion of Matam”, and is regarded by many connoisseurs as one of the best Master Drummer in the world. His life is totally dedicated to music and his traditions; he mesmerizes audiences with his out of this world skills, talent, power and virtuosity. Bangouraké is a true master through initiation and ability.